Showcasing the Marvin Gardens Product Line! When you visit Marvin Gardens (or our new satellite location at Hiden Galleries!) you can expect to have a new shopping experience. Rather than stocking our shop with generic products that can be found at any landscaping store, Marvin Gardens features products that stimulate your creativity. With dozens of unique planters, urns, and other garden accessories, you’ll be able to make your landscape a true original. If you’re looking for something specific, we likely carry that too. Take a look at the impressive Marvin Gardens Product Line. And a multitude of other Garden Elements and Accessories! Wondering how to incorporate these items into your landscape? We would be happy to help! Just stop by Marvin Gardens at 713 Danbury Road in Wilton, CT to get started! 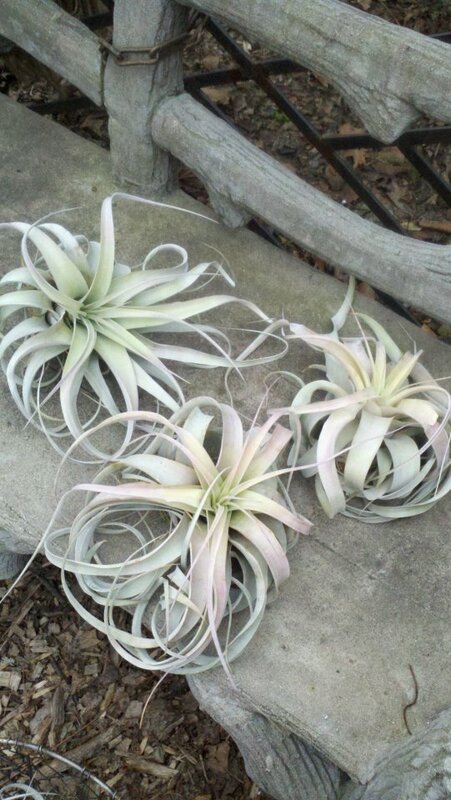 With unique plants such as this Tillandsia Xerographica, we can help you create a sophisticated, original garden.